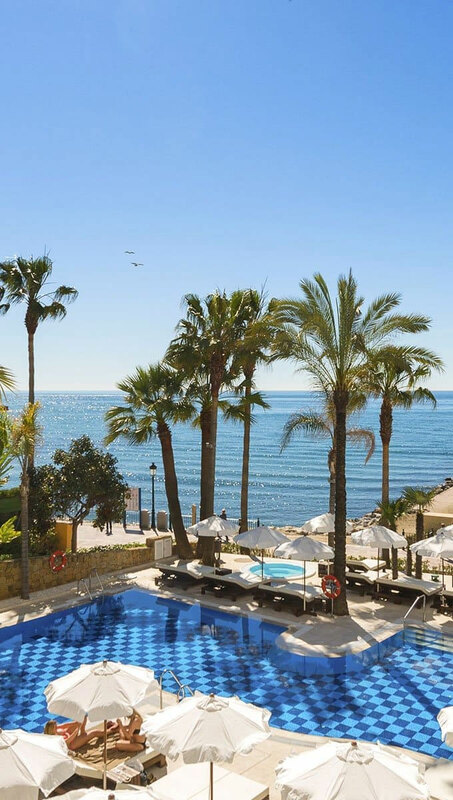 Amàre Beach Hotel Marbella is a unique hotel in the Costa del Sol that brings together the perfect ingredients for a delightful stay: it’s an Adult Only hotel, located right on the promenade and only 5 minutes walking from Marbella’s old town. 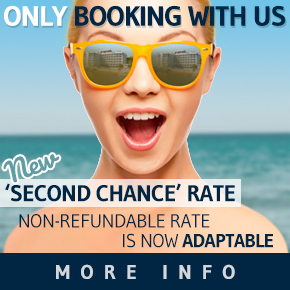 There’s no detail that has been passed over to give you the best imaginable adult only holidays in Marbella. 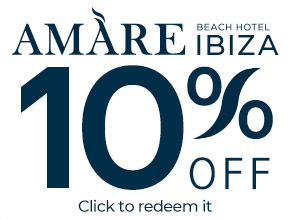 Amare Marbella is much more than a luxury destination, it’s a magical experience too wonderful for words. Its Mediterranean name tries to capture the essence of this private paradise. “Amàre” not only means “love” but also gives the feel of the “sea” and displays a very natural and unforgettable world that you will not be able to resist. 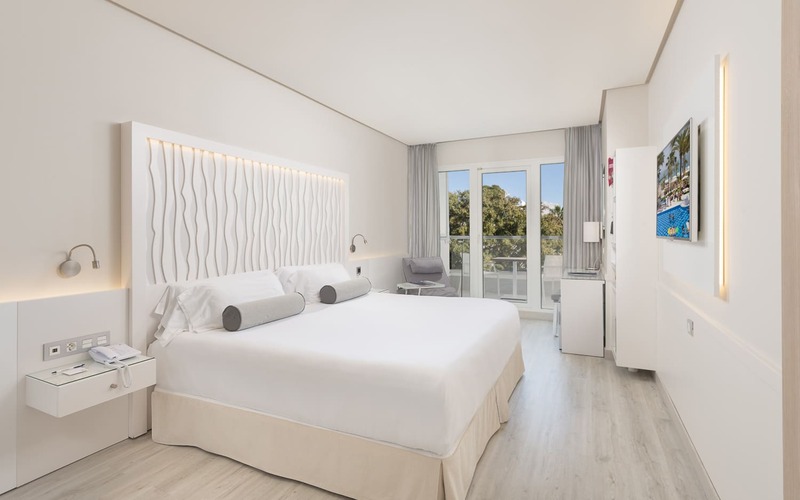 Amare Beach Hotel Marbella has rooms specially created to provide everything you need to enjoy a relaxing adult only holiday in the sun. 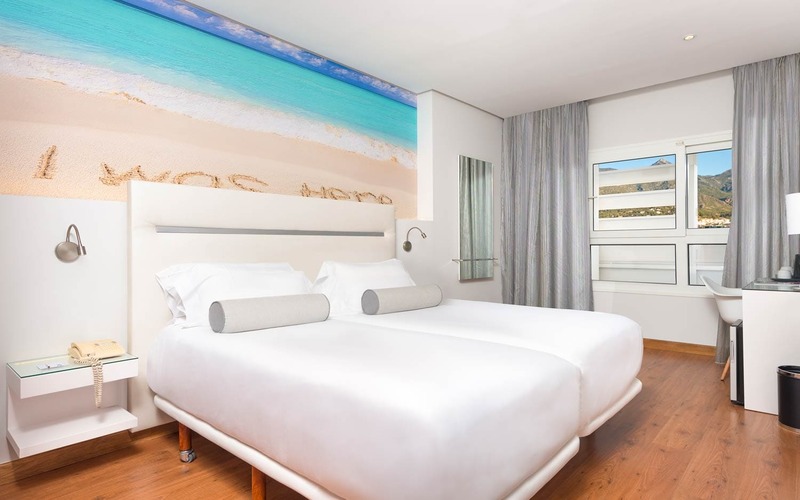 Its 236 well-lit rooms are fitted out with the latest technology and offer an unbeatable level of comfort. Open mouthed. That’s you when you walk into this room. 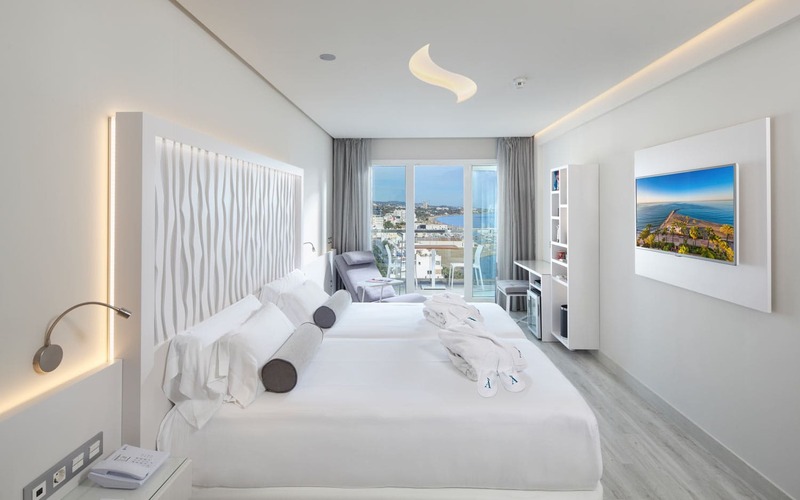 There’s no doubt that our “Oh Là Là The One” is different to any other luxury room that you’ve stayed in. In fact, it wouldn’t be fair to say that it’s just a room with a view. It’s a real challenge to discover it. Are you in? Immerse yourself in the fantasy of “Oh Là Là The One”: Its front balcony, opening up to the intense blue of the Mediterranean is absolutely stunning. Its interior is spacious, full of sunlight, with glass walls and modern decoration; it has small latest technology features, special toiletries, and you can even have a nice Nespresso coffee. 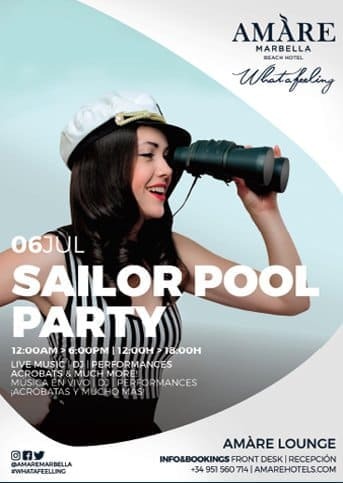 You will also enjoy all of the exclusive services designed for our The One guests: Lounge access, with snacks and drinks from 11 am to 11 pm, one relaxing water circuit per day at our SPA by Germaine de Capuccini and a 10% discount at a wide range of local businesses. Hi! Come in and make yourself at home. 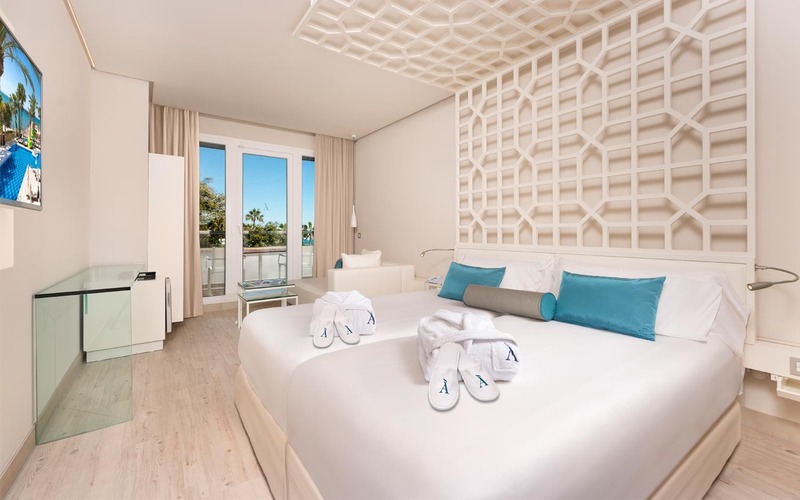 You’ve just arrived in one of Amàre Marbella’s most charming rooms. 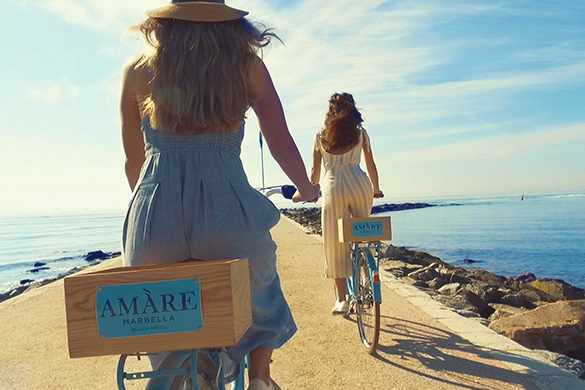 It is unique because it combines the two concepts that make up the word Amàre and represent the essence of our brand: love and sea. 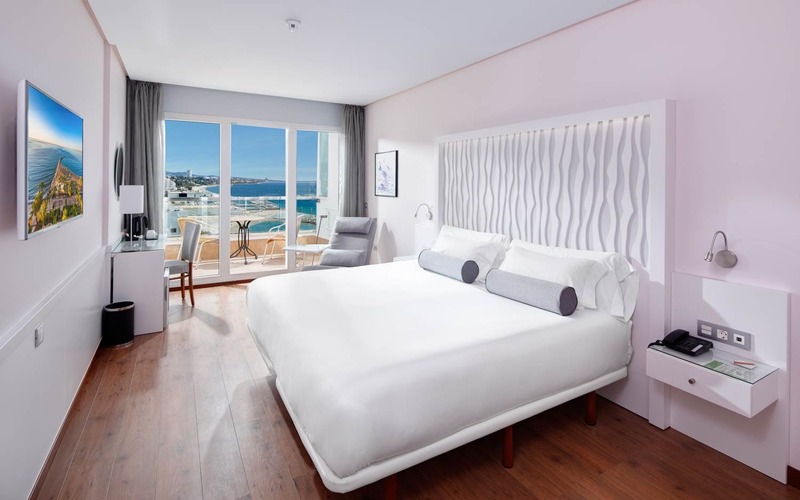 We’ve got three little words for you… “Oh Là Là”: Its size, comfy mattresses, lighting and the beauty of its “lifestyle” design are intoxicating; you can enjoy enviable sea views from its pretty terrace. You’ll get the feeling of being able to dip your toes in the sea! Some people don’t have to tell their dreams from reality, simply because they can make their dreams come true. These fighters who know what they want and how to get it were our inspiration for creating our “Make It Happen” room. You shouldn’t ask yourself why you deserve “Make it Happen”: Pure and fresh lines, elegant design… If you like unique rooms full of style, settle for nothing but the best. 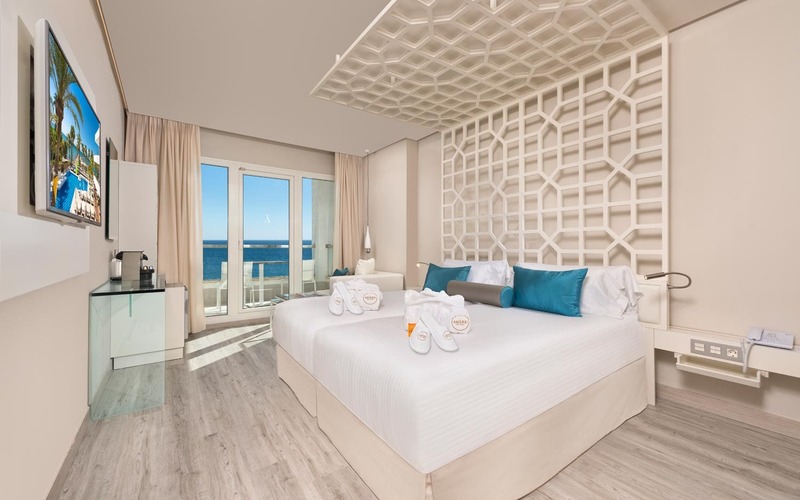 Gaze at the Mediterranean from on high, wrap yourself up in the bathrobe and slippers, immerse yourself in a perfect atmosphere for escaping the daily grind and escape to paradise. Don’t hesitate and make it happen. The time has come to think about you and only you. Are you happy? Is your life stress-free? Exciting? Full of rewards? Or maybe you’re looking for a sweeter experience? This room gives you the key to what you seek. Go ahead. Lose the notion of time in “Dolce Vita”: More than just a room, it’s a spacious 46m2 oasiswhere you can take care of yourself. It combines a peaceful bedroom with a personal and cosy living room. In short, a unique place where you can do anything you dream of. Live the sweet live sitting in the sunshine on your terrace and contemplate the stretch of sandy beach. You won’t want to wake up and get back to the real world. 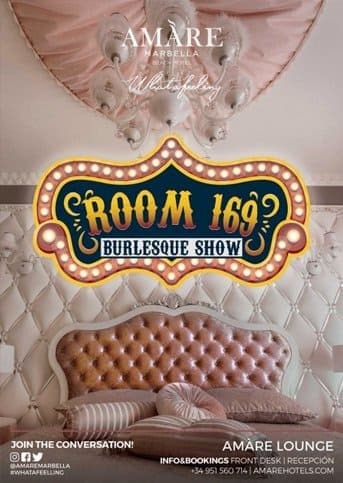 The intimate elegance of our “Keep the Secret” room is about to put you to the test. You won’t be able to resist sharing thousands of photos. You’ll feel like every instant deserves thousands of likes. 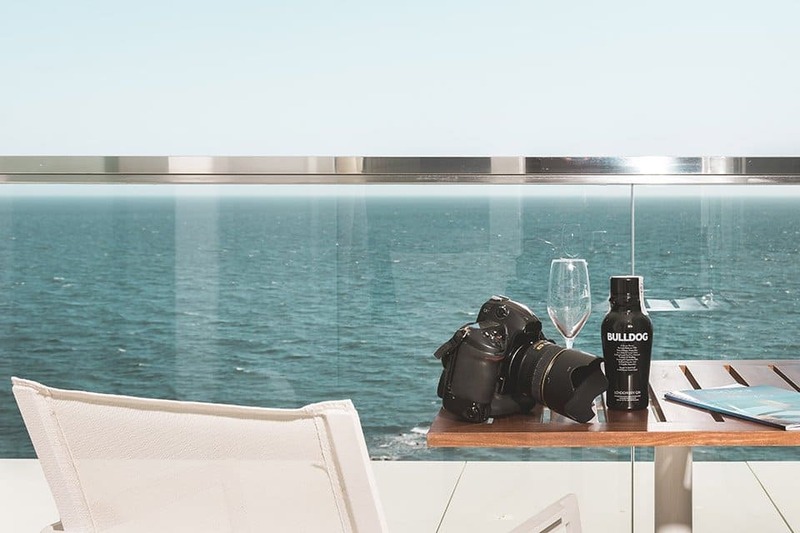 There are plenty of unique emotions to feel at the Amàre Marbella hotel. Are you sure you want to keep the secret? This is your style. You like to be different. You don’t care what people think or say about you. You know what you want and you risk everything for it. Once more, you’ve done it your way, like the song says: “I did it my way”. Let the unique power of “My Way” reel you in: This large modern room awaits you and the person you’ve chosen to spend your holiday with. Feel the unmistakable style of Amàre. Our “My Way” shows you the way to well-being. Spending time in places that we think are special is something that reaffirms us as people and imparts sense to our lives. Not all hotel rooms can claim to be such a significant place, but the “I Was Here” room does enjoy this distinction. It forms part of the Amàre universe, an exclusive world where you play the starring role, because everything has been designed for you and for fulfilling your every desire. 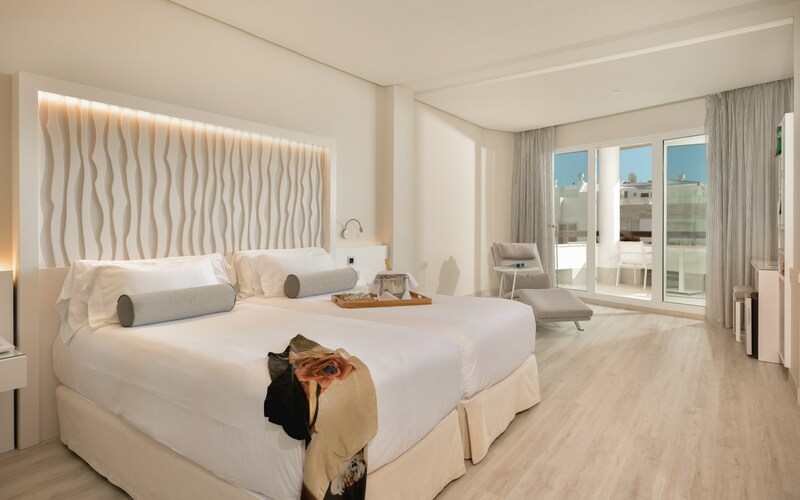 Get the Amàre feeling in “I Was Here”: Enjoy a comfortable room that allows you to feel the Amàre experience with a special touch of intimacy, authenticity and personality so that you can make the most of your stay. 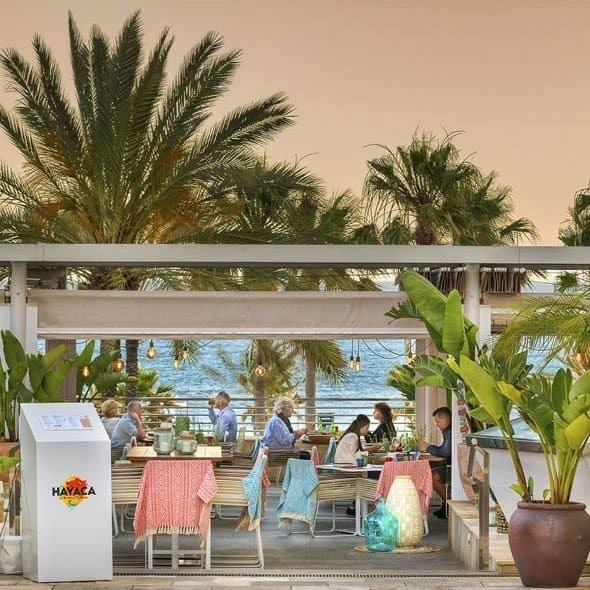 Amàre Beach is a private treasure bathed by a sea of sun, music, flavours and emotions. 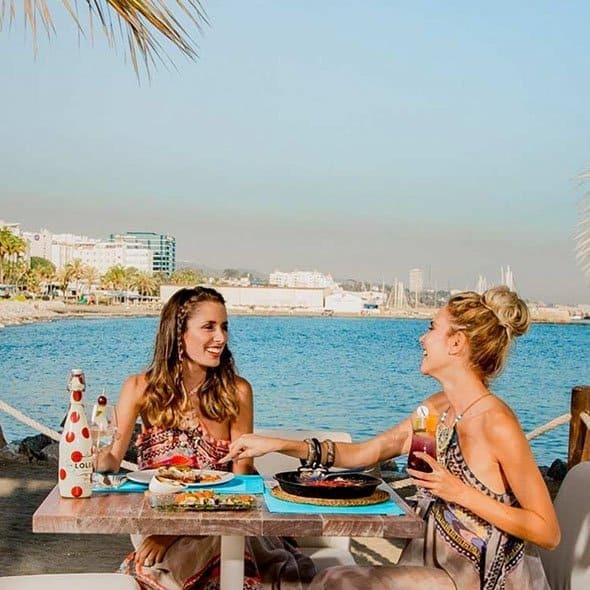 Wooden decks will lead you into this exclusive beach area where comfortable sunbeds with waiter service and a great restaurant are at your disposal while listening a live DJ session. 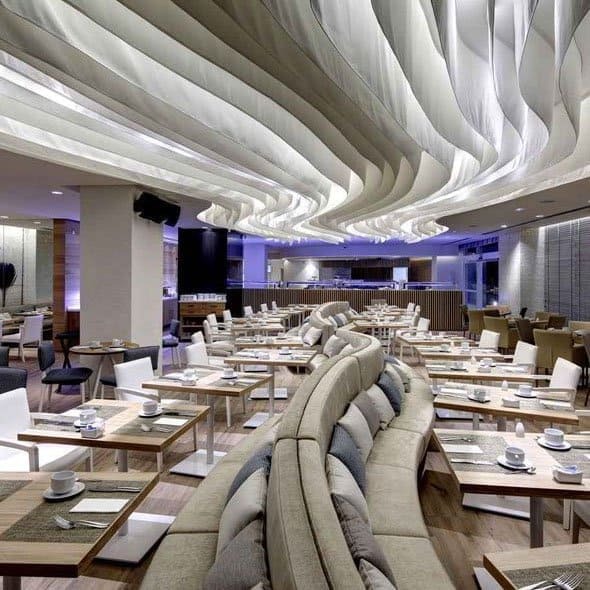 Its contemporary and eclectic design guarantees a multi-sensory experience where dining and entertainment go hand-in-hand. 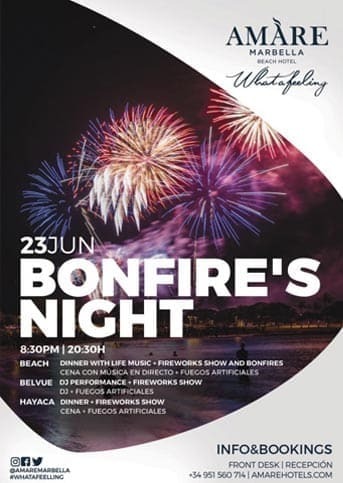 Relax and enjoy a meal with spectacular sea views; or enjoy one of the many events the Amàre world has to offer. 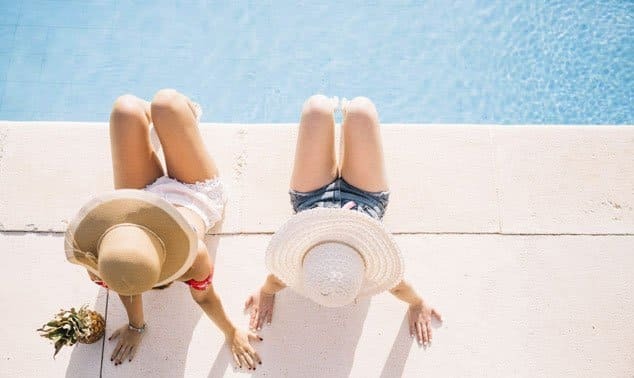 At the Amàre Pool you'll be able to sunbathe on spacious beds, dive into the pool, relax in the Jacuzzi or drink Champagne while chilling on a Balinese bed. 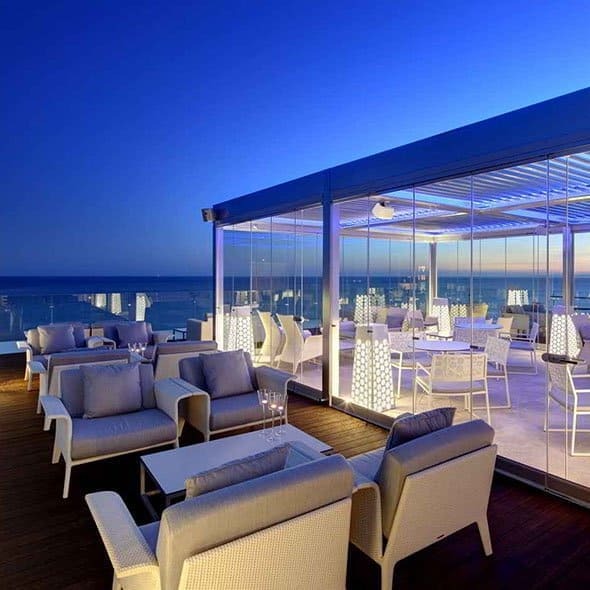 A Michelin star restaurant, a Latin American pop-up joint, a beach club, a rooftop bar or a terrace restaurant, you decide which one will take care of your gastonomic needs. 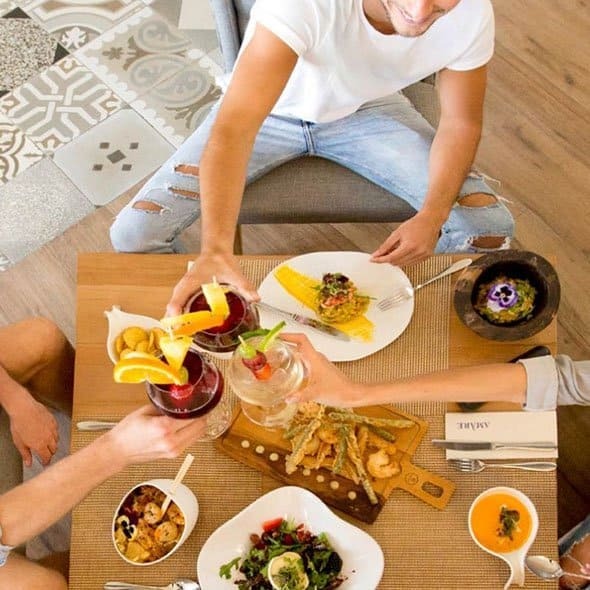 At Amàre Marbella the healthiest and most appetising ingredients of Mediterranean diet stand out in traditional recipes and the innovative chef’s creations. 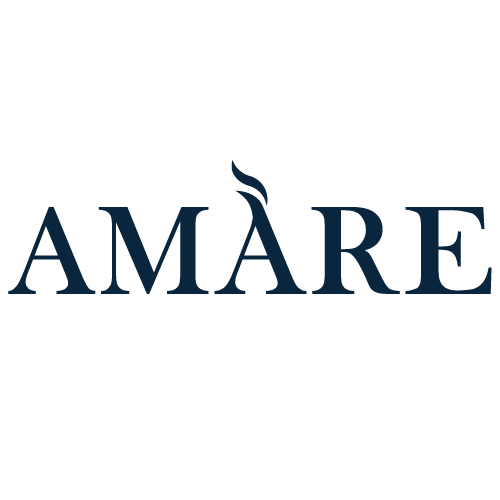 “The One” service is a concept created specially for the few. Those who only submit to nothing but the absolute excellence. 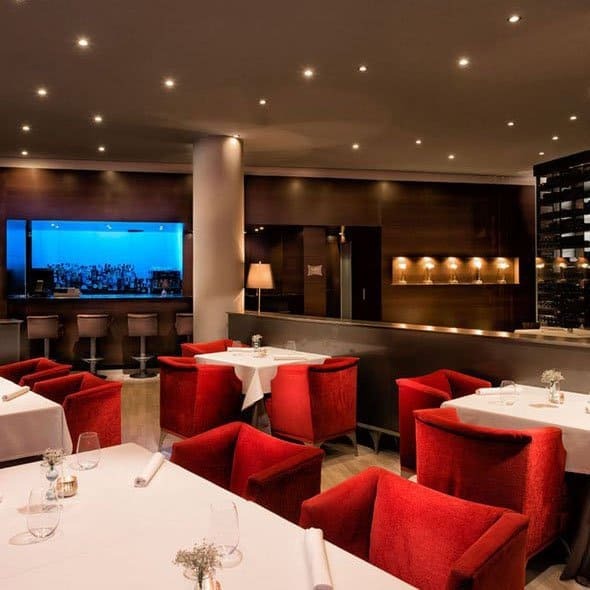 A pampering gamut of personalized services such as gifts, amenities, VIP spaces and beyond. Feel exceptional. Be One.